The doctors said "It's not possible to cure heart disease or diabetes," but we proved 'em wrong. You can too - the more you know, the easier it is. Way easier than being sick. The End Of Disease is all about eating healthy. I found this recipe on Dr. Fuhrman's website, tried it, liked it, made a couple of corrections, and present it here. The recipe on his website is for Strawberry Ice Cream made with aquafaba. Aquafaba is really just bean juice. Yup, like we used to throw away after we cooked our beans. The attraction is that this previous discard whips up like whipped cream, but without the fat, more stable than whipped cream and also replaces eggs. And with a beany taste and some of the nutritional benefits of beans. And no fat, cholesterol or high-grade animal protein that's really metabolic poison. Weird, huh? But I like it and will make it again and again. No more wasted bean broth in my home. Super delicious, cheap, healthy, flexible and useful ingredient, just my style. Did I mention that I love eating this way? Blend dates with milk in high power blender until smooth. Gently stir or fold in aquafaba. Freeze in bread pan or similar, at least 2 hours. Scoop it up, add toppings (nuts, seeds) as desired. Note: Whipped aquafaba is made with bean cooking liquid. Garbanzos (chick peas) are best with this recipe 'cause they're light colored, but with dark bean liquid we'll make chocolate mousse (another recipe on Dr. Fuhrman's website). He's also got quiche and frittata recipes, plus there's plenty more on the net. The juice from 1 can (3/4 cup) makes about 2 cups whipped aquafaba. Add 1/2 teaspoon lemon juice or 1/8 teaspoon cream of tartar. Cool it to at least room temperature. Whip with a hand or stand mixer like whipping cream until it forms stiff peaks. The bean juice from cooking your own beans is likely too thin, at least mine was. I started with a cup of bean liquid and reduced it 25% by microwaving in a big glass measuring cup. If when it cools down it's too thin (like syrup) then thicken it, if it's too stiff (like jello) then re-heat with a little added water. I made this with raspberries the first time, and the intensity of the raspberries made the beany taste go away. We didn't freeze it the first time so it was more like pudding, but still delicious (this instruction was missing from Dr. Fuhrman's site, maybe we won't need this with more practice). With strawberries the second time (using the rest of the previous night's batch) the beany taste was slight, but not a problem. Annette says it's like a fruit sherbet. Next time I'll try frozen blueberries or blackberries. I can hardly wait to cook more beans! Plus I'll get my feet wet with aquafaba's other uses, like as an egg and fat replacement in meringues, pies, chocolate mousse, nougat and fudge, buttercream frosting, brownies, cookies, pancakes, butter, creamy dip, mayonnaise, and general egg and fat replacement in baking. And more. I also love exploring, inventing and modifying new recipes. That's not essential to being a nutritarian, but in my case it helps. From time to time I hear the machine-gun fast whomp-whomp-whomp of a helicopter like this one, taking off about half a mile from my house. It always reminds me of, well, me. I was a difficult patient at the E.R. I didn't want air transport, didn't think it was necessary, and resented the huge bill that would come with the service. Unnecessary waste, in my opinion. Feeble and stupid reasoning, I know. So it turns out I was right based on the immediate outcome, because the interventional cardiologists at the University Hospital in Salt Lake couldn't do anything for me, but I understand and appreciate the reasoning behind the E.R. doctor's insistence. I even understand her not giving me appropriate medication, as in a dose of nitroglycerin. Dr. Polokoff says I could have sued. I just think the E.R. doctor was scared spitless about being sued the other way, for any possible negative consequences of not absolutely insisting I be transported by helicopter. It's the standard of care, after all. But what would you expect after walking into a hospital emergency room? Choices? Nope. Mention that this was overkill and hope to be taken seriously? Never. You give up all rights to self resolution when you walk in to the E.R. and sign the papers, and scare your wife to death that you'll die in the car with her driving and she'll likely have a fatal accident.. But I'm glad for, and would never do without, my ornery self-reliant attitude, my sense that I will overcome this by learning and doing better. The good doctor's resistance to my suggestions only made that resolve stronger, after all. And I very much appreciate the doctors at the U. of U. 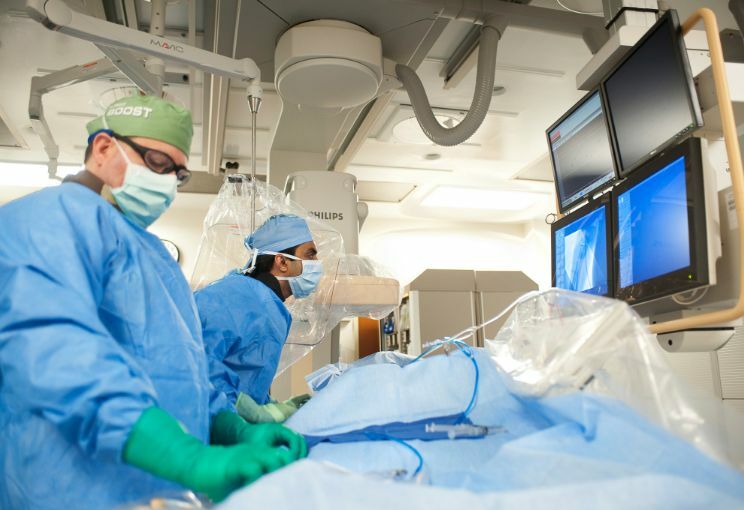 Medical center cath lab trying and failing to correct the problem, and confirming my sense that I would have to learn and take action on my own. A new stent would be absolutely nothing compared to that. I even appreciate the terrible food the hospital tried to serve me. It very much seemed they were determined to keep me sick, make a return visit necessary, and make sure I understood my nutrition first philosophy was out of wack with their medical expertise, when really it was the other way around. How could anyone be more blessed, or lucky, or fortunate, or whatever you call it? Probably couldn't have turned out any better regardless. Probably would have been worse, in fact, without the [waste of a] helicopter ride. I got a complete diagnosis and set of scans to be used for my current involvement with Dr. Polukoff. So my number one lesson from the visit with Dr. Polukoff is the end result. My good fortune continued when I found Dr. Fuhrman, and was preceded by my wife's cure from diabetes. And the desire to learn more and do better. I know he has lots to teach me about my specific situation, and for that I'm extremely grateful. And I have a sense that I am indeed fortunate to have had this experience, and that I owe a debt that I want to pay back, by virtue of these experiences. What's the opposite of a perfect storm? A perfect outcome by virtue of perfect understanding, validated by knowledge and practice. By working with Dr. Polukoff, I'm looking forward to substantial validation of my current course. And by learning and preparing for the visit, by re-reading Dr. Esselstein's book (done), and Dr. Fuhrman's book The End of Heart Disease (in progress), eating better (substantial progress), and exercising better (doing it - joined a gym ((Kubex)), so I'm looking forward to building some muscle along with losing some fat and improvements in my aerobic and heart fitness). Dr. Polukoff even suggested I take in Dr. Esselstein's on-line training. Another chance to learn and build my knowledge base? Yippee!! And having an expert review of three sets of complete scans and tests appropriate to my situation, and getting a highly personalized reading and recommendations for course correction. Last time started my telling of a doctors visit. A little more background seems appropriate. 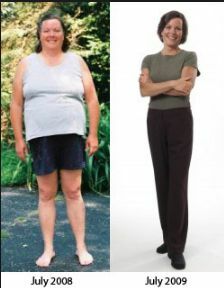 The major attraction of a Whole Food Plant Based Diet (WFPB) is that it works. But equally important is that it's something I can do on my own, safely and without fearing any negative consequences. And way better in those regards than standard medical treatment. When I started, I didn't have medical insurance. All doctor visits, prescriptions, procedures and advanced diagnostic procedures were, therefore, on my own dime. And the way I live spare dimes are not to be wasted. Would I prefer to have been able to afford more medical care? Well, yes and no. Yes, it would have been an advantage to have better medical monitoring of my recovery. No, I didn't want or need the standard medical party line. Now that I have medical insurance, and have found a specialist in my area of need, I'm more than glad to get things checked out. Dr. Polukoff is recommending a battery of tests, to be done in about three months, just prior to my next visit with him. This coincides with my need and desires. I consider it a real blessing, more than chance, one of those "miracles" that sustain me, that I ran into him, found out he's a cardiologist with a great interest in nutritional therapy, and the way opened up for me to see him quickly. His staff booked me for an "emergency" appointment, otherwise it would have been three months before I could see him. Like I told Dr. Polukoff, either he (the doctor) intervened, or He intervened. Turns out it wasn't Dr. Polukoff. He barely remembered me at first. The day before my appointment I started a new cardiac exercise regimen. For six years I have walked or run for about a half hour daily, somewhat slowly because the little dogs I drag behind me haven't tolerated a faster pace. About a month ago Dog #1 - Daisy - expired. Dog #2 - Nilla - is more than happy to run faster. So I've been thinking about doing shorter-but-more-intense interval training, to do a better daily check on my cardiac capacity, verify I'm on track, do a better job of cardiac conditioning, and save some time. Turns out with more intense exercise, I can consistently reproduce my angina. It goes away when I slow down, but it's a great reality check for me. So I had all of two days of this new regimen under my belt when I visited Dr. Polukoff's office. I was ready for a rethinking of my strategy, input from a knowledgeable, caring professional, and basically loaded for bear to attack my less-than-stellar-but-still-amazing compliance, and adopt the best WFPB protocols I know. And Dr. Esselstyn's more rigid prescriptions don't scare me. I know from past experience I will learn, I will adopt, I will adapt, and everything will work out. Because I will be, I am, my own best client and example. Could I have done this on my own? Yes. Was it likely if I hadn't encountered Dr. Polukoff? Probably not. Why? Human nature, of which I am an avid partaker. I could have joined Jim Fixx in competing for the "World's Greatest Losers" prize for self induced somnolence regarding taking you own health advice too seriously and resulting self induced death (now there's a great topic for a future blog post). He is, after all, current reigning champion, followed up by Euell Gibbons (OK, two topics). I don't want to be in the running for that prize (pun intended, and my thanks to Jim for setting a high standard to learn from and not do likewise). I seek valid outside professional opinions. I treasure them. I am an avid reader and fan of Dr. Fuhrman's medical advice forums. The cost of partaking in them with my own questions is too steep ($50+ per month). But I can relish the validity and perspective of what I read there. And I'm not opposed to regular medical treatment and opinions. I just have to moderate them based on what I know from experience. Doctors don't understand everything. Neither do I. Sometimes it's good to seek input, and take it serious. Now that I have medical insurance, and a legit doctor with knowledge and background I need and respect. And I definitely don't expect the standard medical party line. 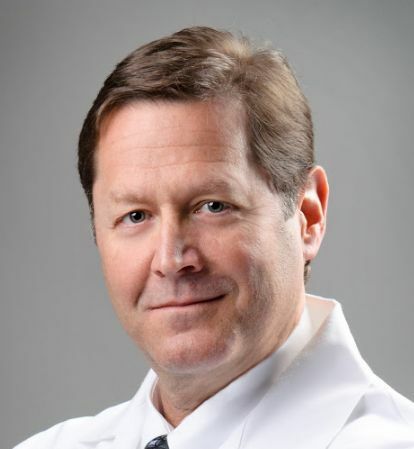 He's the only intervention cardiologist in the State of Utah who understands the validity of the nutritional approach. A Google search for the term "nutritarian cardiologist" shows zero results. "Nutritional cardiologist" lists Dr. Caldwell Esseltyn first. I think I've got the right guy. Next time: The many things I learned from the visit. Yesterday I hit the jackpot. And got a needed reality check. I had an appointment with a doctor, an MD and an intervention cardiologist, WHO UNDERSTANDS NUTRITION AS TRUE MEDICINE! He practices it himself, he uses it in his medical practice, he's seen some outstanding results. And he's dealt with some patients who don't want to hear a thing about it, and suffer the natural consequence of progressive disease and even death. Wonderful when the results happen, and very frustrating for him when some folks won't listen. Maybe a little like I've experienced. The point is, this a true find, a gem and another miracle in my life and story. To explain why and how, I've got to back up a little. 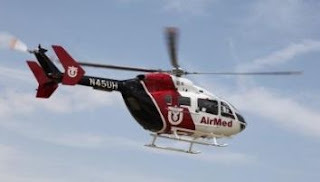 At my second heart attack, there was no cath lab capability locally, so I was helicoptered to another hospital. This was at the ER doc's insistence, I didn't think it was necessary and still don't. But it happened. When the cardiologists in Salt Lake found they couldn't do anything to help me beyond giving me drugs, I knew there was better information out there. Somewhere. The hospital nutritionist did refer me to a book by Dr. Esselstyn of the Cleveland Clinic, that described his research study of nutritional intervention for very seriously ill cardiac patients. He took a small group of patients who had been diagnosed, fully treated, and basically given up on by the cardiac care doctors there. Nobody had anything to lose by trying something different - a change in eating habits - and doubtless few of his peers believed it would succeed. But succeed it did, and how! Everyone who complied far exceeded anyone's expectations for recovery and extended life. It worked well for even the most serious cases. A few patients complied only somewhat, with less positive results. This was a true breakthrough, a miracle that indicates what is possible, and that full compliance guarantees positive results. Way better than any prescription, surgery, procedure, supplement or other protocol in this regard. So did the medical community stand up and applaud, and immediately clamor for more and better research and then turn to nutrition as the best means of care, prevention and a cost effective, works-every-time solution to a major international problem? So now to the present day implications for me and my progress, as well as for Infinity and (thank you Buzz Lightyear) Beyond. In my next post. One of the attractive things about the nutritarian life style is that it's flexible, and even allows eating meat. Dr. Fuhrman suggests many people can be completely healthy and still "cheat" with up to 10% of your calories. Even the occasional candy bar or dish of ice cream is OK. The key is occasional. Very. So how do you apply this? What does it mean on a real-life basis? Now over the almost six years I've eating this way, I can count on one hand the "normal" meat and potato, processed food type meals I've had, that were my norm before. I just don't like to eat that way any more. But I've enjoyed the flexibility, and it's kept me on track. A more rigid format might have discouraged me. And even though I'm not perfect, my recovery is good, compared to where I was headed. It's made it easier for me to do this long term. I enjoy some added calories nearly every day, usually in the form of a few extra nuts or seeds. Since I don't count calories, but I do weigh in and check by my exercise tolerance my progress every day, I know what works for me. You could reserve those 10% of calories for a weekly regular meal if you wanted. That means basically you'd have twenty one meals during the week, and one would be the standard Anerican diet type meal. The other twenty would be full bore (and by full I mean rigid, inflexible, strict and totally) nutritarian. Realistic? I don't think so. If you can excuse one meal, how can you not excuse other slippage? I really don't know, and clearly I don't believe in this approach because I can't see it working for me. My personal preference is different. What makes it work for me is to do the very best I can at each meal, and in general add a little something every day that makes my food more enjoyable. Something still in the healthy direction, however. I don't consume a candy bar every day, or even every month. I let my weight be my guide. I can tell when I've loosened up too much because I weigh more, and I immediately correct course. Even a couple of extra pounds is a good early warning. I consider an extra five pounds to be an all out danger signal, and tells me it's time to buckle down. Emily Boller, one of Dr. Fuhrman's favorite examples, tells (in a seminar video by Dr. Furhman) of a friend who eats nutritarian during the week and regular on the weekends. By my calculation this means her friend takes in about 50% or more of her calories from a combination of low nutrient density, processed, meat and dairy type foods. Emily says her friend has done all the work to learn how to eat right, but she gets none of the benefits. No weight loss, and no difference in health outcomes. None. So while nutritarian eating isn't all-or-nothing, I'll hazard an opinion here that it takes 80%+ compliance to make it more than mildly effective. Real effectiveness for ordinary conditions doesn't come into play until you're over 90% compliant. For a serious condition you really have to become compliant in the 95-98% range, which means really striving to be 100% in the game. The good news is, eating right most of the time, and building in a cushion by eating better than necessary instead of pushing the limits, is a delight and a pleasure. Old habits intrude. The constant barrage of misinformation from a sick culture takes its toll. But the best part is, you come to trust that the plan works, every time you work it. And when you don't work it briefly, you just get back on that horse again and ride it, because you've proved that it works. The greatest pleasure of all for me is to be alive, healthy, productive and experiencing this life with my lovely wife. Both of us are medical anomalies. We're still alive in spite of each having health conditions that were supposed to be incurable. We have survived the biggest challenges of all, which are 1. A sick culture and 2. Our minds not always being made up to eat right. Which goes a long way towards a happy life, because (obviously) we're not dead. And which inspires us to sweetly, gently but persistently encourage family, friends and y'all to join us. Whaddaya Mean, The End Of Disease? I mean to speculate here, really extend the line of logic, outside the bounds of reason and rationality, into the realm of fantasy and speculation. Based on some educated guess work. Plus some speculation on what some would call the "ultimate ideal." No doubt I'm going to be wrong on parts of this. Maybe some big parts. So I'll start with what I understand and "know," then extrapolate from there. Fair warning, though. I end up making some religious references. But for more specific religious details I'll refer you to my other blog, www.AMormonNutritarian.com. 1. Dr. Fuhrman, the founder of the term "nutritarian," is a man of science. He came into his medical training with an orientation that caused him to look beyond standard interpretations, dig into the research and find substantial backing for a radical new approach to disease treatment and prevention. And, he's not the only one. Others have similar vision, similar effectiveness, and similar science and medical backgrounds. I use him as an example because I'm most familiar with his work. So understand I use him as an example and stand-in for all those who see these possibilities. 2. I find his conclusions to be well-founded and based on both a thorough review of the complete body of nutritional research and his treatment of real-life patients, with startling results. Conflicting and competing dietary systems are either based on an incomplete review of the research, varying degrees of incorrect applications, or correct applications with the wrong emphasis or degrees to which they must be applied to be effective. Again, this applies to more than Dr. Fuhrman, which application continues below. 3. I also see how his recommendations have changed over the years as added research findings modify his earlier recommendations. His eagerness to adjust his recommendations gives me confidence in how up-to-date his current recommendations are. 4. I've also seen how his enthusiasm has caused irritation in some quarters, with claims that his certitude exceeds his grasp. I think he's a true visionary who bases his opinion on sound research and sound experience. 5. His nutritional recommendations are also medically benign, and in general compatible and not interfering with standard medical protocols. If used with regular medical treatments, they can still be the best, most effective measures possible. More complete recoveries than otherwise, surpassing the effectiveness of normal medical treatment, and minimizing the harmful effects of drugs and other treatments, are all possible. 6. A wide range of serious and typically incurable medical conditions are impacted by his protocols. He doesn't claim these nutritional protocols treat every known medical condition, but many of the most serious, widespread, expensive to our economy and ineffectively treated conditions are clearly impacted. 7. Plus, if conditions are not well treated by his protocols, there's real evidence that earlier use of his nutritional principles can prevent these conditions before they become medical problems. 8. Extensive application of the nutritional preventive approach, including maternal prenatal intervention, may make for even larger impacts on the health outcomes of the population. 9. Because dietary habits and food preferences are completely learned, a completely radical and positive transformation of our health outcomes is possible, because we have unlimited potential to re-learn. When we use this power and implement these changes universally, with early, willing and joyful understanding what the benefits and outcomes will be for us and our children, we will be at an advanced stage of the revolution. 10. The impacts of a total eating revolution are potentially so incredibly powerful, that this could be a total revolution of our society. Our beginning to grasp the meanings of Dr. Fuhrman's and others findings mean that we should start focusing our incredible abilities to research and analyze in a whole new, food-based direction, leading to even more positive results. 11. The end of virtually ALL disease would be a logical extension of this overall process. 12. There's a part of us that knows we are meant to be happy, that it's the ultimate goal and possibility of all our lives, and that the potential to have a disease-free society really stands for something even greater. I'll call it the ultimate good. 13. This ultimate good is so powerful and far-reaching in its implications, that for me it can only be felt, not fully described. It's really a sort of impossible to fully describe or comprehend but not impossible to hope for ideal. It's the kind of thing that should make us want to use our desire / dreams / power / freedom / love / belief in the goodness and potential within our souls to bring it about. 14. To accomplish this would mean radical changes, radical choices, and probably completely unforeseen alterations in our hearts and our society. Impossible? No. Unlikely? On any given day, you bet. But I believe it's coming. Maybe sooner, maybe later. But coming. When the French make a dish, it always sounds exotic. I call this Eggplant Ratatouille, but I could have called it Eggplant Stew. Or Cacciatore. Or Gazpacho. Or Goulash, or Pottage, or a dozen other things. Only the country, seasoning, temperature and language differ. Insignificant things, really. The point is, vegetables in season, mixed, heated, seasoned, served and eaten. No oil. No meat. No salt. Variety. Availability. Cost. Freshness. Eaten with my true love, my family. So here's my favorite ingredients: Eggplant, zucchini, sweet peppers, onions, garbanzos, tomatoes, mushrooms, Italian spices (oregano 1 1/2 t, marjoram 1 t, thyme 1 t, garlic 1 t, basil 1/2t, rosemary 1/2 t, sage 1/2 t, red pepper 1/4 t). Slice/dice, cook until done, add spices any time. Arrange attractively in a baking pan for maximum effect, or put them all together to save time as above. Add more stuff if you've got more stuff. Start with 1/2 seasonings amount if you want to be cautious, it's easier to add seasonings later than double the recipe because it's too strong. Add a little meat (-balls, chicken) for a less healthy dish. To think that a set recipe matters is to lose some of the intent and possibilities. Not that I'm opposed to recipes. But sometimes it's just right to go with what you've got. 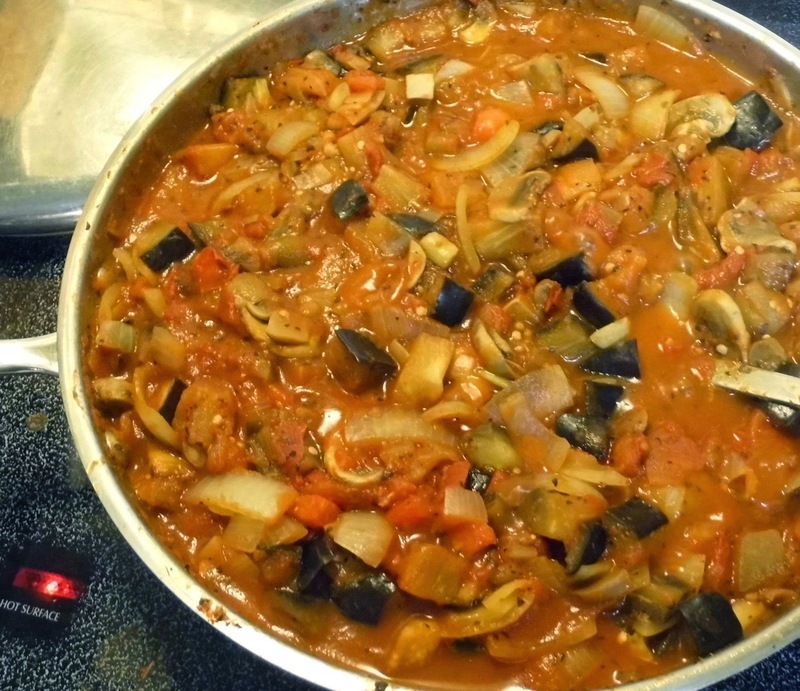 This time it was just eggplant, onions, tomatoes, tomato sauce, mushrooms and seasonings. We just chopped them, put them in the pan, heated them up, added a little seasoning. We ate it hot, we ate it cold, we loved it. Even made more the very next night. We had more eggplant, after all. Here's another principle. We often engage in "recipe roulette," where we take a CD titled 1 Million Recipes, put in a list of ingredients we've got on hand, and see what the possibilities are. Or we play "recipe roulette" by Google search. Here are some other principles. More important than a recipe is to be flexible. We almost never make it exactly as it says. We never fry or sauté in oil. We cook things less and at lower temperatures than we did. We don't add salt in cooking. If one of us wants salt, we add it after, and in small quantities. We never serve food with or over rice, or potatoes, or starchy foods in general. We eat generous portions, but don't stuff ourselves. We enjoy talking together as we eat. We congratulate good eating decisions. We don't criticize or even acknowledge each other's bad eating decisions, only our own. 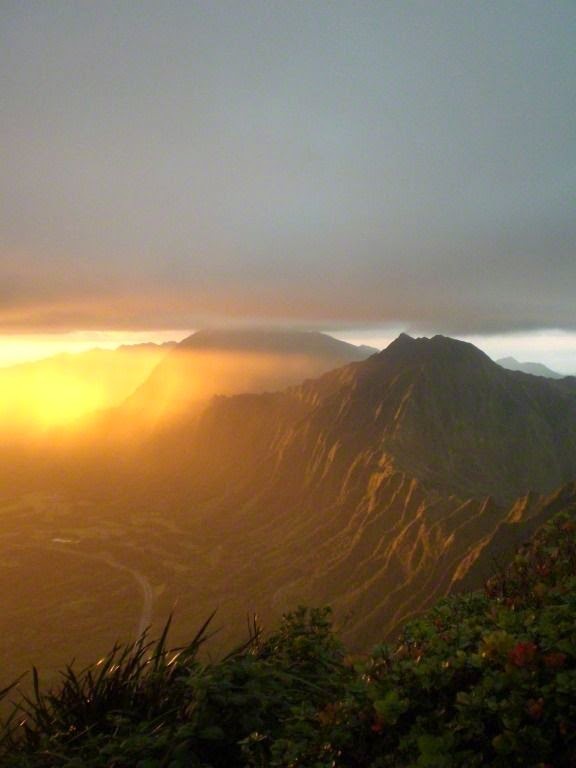 I live in a beautiful mountain valley, and as the sun rises to the east, shadows race across the valley floor. Most people in Utah live in valleys like mine, with soaring mountains immediately to the east. It's because the oldest communities were established at the base of these mountains, to take advantage of streams that run down and irrigate crops. This morning as I ran, I chased the shadow of the mountain. It was moving because of the rising sun, and I had to run fast to catch the shadow. It really did appear I moved the sun behind the mountain. Or maybe it's just moving the mountain in front of the sun. Either way, moving mountain or sun, it feels powerful. Even though it's really just a change of location, a change of perspective. But it reminds me of how powerful it feels to understand the truth about excellent health through nutritarian eating. It's really just a change of perspective, a shift in my understanding, an adjustment of my attitude and actions based on truth. The difference in my eating, based on Dr. Fuhrman's teaching, gives me true power, real control over my health. So is that not a mountain I've moved? Or maybe it's the sun. Either way, being in control of my health is a mountain of an accomplishment. Running fast is proof. In fact, I've experienced a shift in my entire universe. I'm a piker when it comes to curing heart disease. I consider myself on the path to healing, and I do have a significant remission of symptoms that indicates I'm on the path to complete healing. Others have done better, and my hat's off to them. Here's an example summarized from Dr. Fuhrman's website. I'll give you the link to the more complete story and the formula. It's what I do, but better. But the best part is it's real life. It illustrates how to succeed quicker than what I've done. In a later article I'll summarize the difference. Paul S. reversed the same type coronary artery disease I have, and had it worse than I did, but substantially reversed it within 26 months. He did it by adhering to Dr. Fuhrman's "Six Week Plan." He was running within a year after he started, and has continued on that course for years more. He had a scan 26 months after he started that verified his arteries are clear (the kind of verification I can't afford) and ran two half marathons since then (the kind of verification I can afford). Here's the link to his story on Dr. Fuhrman's website: www.drfuhrman.com/success/SuccessStory.aspx?id=1214. Now his cardiologist initially told him it was critical he have angioplasty as soon as possible. He found Dr. Fuhrman's website within a few days, and took immediate, drastic action. He became Dr. Fuhrman's patient, and was coached personally by the best. He has stayed on that Six Week Plan during the intervening years, proving that radical eating changes are possible, and totally curative in his heart disease situation. It seems likely it will work in so many others as well. A miraculous cure? Certainly. But the real miracle is that anyone can do this. It has implications for so many situations, diseases and a vast number of people. Paul recommends reading three books: Eat To Live, Disease Proof and The End Of Diabetes, all by Dr. Fuhrman, and he says it's all anybody really needs to understand and eat this way. He'd have added The End of Heart Disease if it had been out. Aim to eat a pound or more of fresh (plus anything flash-frozen) non-starchy vegetables a day, emphasizing leafy greens, and the typical things that can go into a salad like lettuce, peas, snow peas, bell peppers, tomatoes, cucumbers and sprouts. In fact, salad is the main dish. No limits, and variety is good with all these healthy foods. Also aim for a pound of more of cooked non-starchy vegetables as in eggplant, mushrooms,peppers, onions, tomatoes, carrots, cauliflower, asparagus, zucchini, kale, collards, cabbage, peppers, mushrooms and tomatoes. While the format isn't critical, soups have advantages for these. Unlimited amounts here too. Eat a half cup or more of beans/legumes per day, like black, pinto, red, white and garbanzo beans, lentils, tofu, etc. Soups, chili, whatever is good to you is eligible. Fresh fruit, especially berries, at least four servings per day. Not dried. Not juiced. Not canned. There's a "qualified" recommendation of limits on these. They're great but not to be as highly emphasized as those listed earlier. Fruits are the "dessert" aspect of eating this way. Eat mushrooms, and cooked is actually better for you than raw. Cheaper types are as good for you as expensive ones. One mushroom day is plenty for nutritional purposes. Limited amounts of starchy vegetables and whole grains is allowed, but only one serving per day. If you have a tough time losing weight, or a condition like diabetes, ditch these and stick with the higher priority foods. Eat some healthy fats from nuts or seeds, but in limited amounts, no more than 1 oz. (one closed-fist handful) per day. Include one tablespoon per day ground chia seeds, ground flax, walnuts or other sources of omega-3s. Avocados work too. Don't overdo these. Ditch all animal products for the six weeks, including milk, cheese, yogurt, etc. No added oils, sugars, candy, salt, white flour bread/pasta and processed foods. So keeping this up for just over 2 years made for a complete reversal of Paul S.'s heart function problems and pain. I eased into it, but I think he's smarter. Dr. Fuhrman defines what you do long term to eat nutritarian as the "Life Plan." You can, like Paul, do the Six Week Plan for life. But some folks, like me, start off with 10% of calories from "outside" the Six Week Plan guidelines (I'm at 5% now), either by higher quantities things that would be limited, or just plain things that would be forbidden like animal products or even ice cream (rarely). What I do works for me. But, I'll continue this long term plus keep on learning, and get closer to the Six Week Plan over the long haul. After all, as Dr. Fuhrman says, if you've gone to the effort to change 90-95% of what you eat, the next little bit isn't that tough. The long term defines total success, and total healing. Labels: Heart Disease, Six Week Intensive, Story: Paul S.
So this is a personal post about the status of my heart disease. It's worth doing because it's a summary of major progress and a work in progress. It took me 2 1/2 years to get to my "ideal" weight, from 210 pounds to just over 160 at a height of 5'11" (I used to be 6'1", but aging and a collapsed vertebra will do that). I've had two heart attacks, the first in May of 2005 of which could have easily killed me, with two 99% blockages in the LAD artery, and two other blockages in two other arteries, at 99% and 80%. The second at the end of October 2010 involved a new 80% blockage in the same LAD artery. The best doctors available said my condition was inoperable. My friend's referral to Eat To Live is responsible for my ongoing survival and healing. I saw my doctor twice in the two years after my heart attack, but I wasn't encouraged when I did. He says recovery is impossible. I've since changed doctors and see my cousin, who is interested but doesn't buy in to what I'm doing enough to change his recommendations to others. But I get a whole different perspective from Dr. Fuhrman's materials, both books and website. He says every heart disease patient he treats gets better. I want that, and I believe it's happening with me. Most important in my recovery is the status check I do six days a week. At first after my 2nd heart attack I walked for a half hour daily. Gradually I've sped up, and now I jog for half an hour every day. I let angina be my guide, and I exercise as hard as I can - without pain - and the occasional push to test my limits. Proved it's possible to overcome a strong genetic predisposition to coronary artery disease. Eliminated 95% of the animal products, refined sugars and extra fats and oils from my diet. Never gone hungry, counted a single calorie or felt deprived. Changed my taste preferences so I no longer miss the bad things I used to eat. Developed my own recipes and eating patterns so the variety and taste is completely wonderfully satisfying to me. Caught a vision of what this can mean for healing my family, community and world from the unnecessary expense, wasted resources and personal health tragedies that our current health, medical treatment and food culture assumes are normal and unresolvable. The weight loss and health this involves is a big part of my wife's total vocational recovery from a paralyzing back injury (and from diabetes, definitely related to her loss of muscle function). She wasn't expected to walk at first. Then they said she'd never stop being diabetic. But she is now fully functional, in a way her rehab doctor has never seen. That her diabetes is gone the doctor and diabetes educators said was just plain impossible. I now have real, immediate and justified hope in areas where I saw no current solutions before. That's really the main miracle here. But then, I've always had hope. I always knew there'd be answers somewhere in the distant future. I just never thought I'd see 'em. An if I can see these, maybe you can too.